The city of Detroit has settled a lawsuit with the family of a girl shot and killed by a Detroit police officer nine years ago. Aiyana Stanley-Jones was seven years old and asleep on a couch with her grandmother when Detroit police raided their east side home looking for a murder suspect in 2010. They were looking for a murder suspect. But Officer Joseph Weekley accidentally shot Aiyana in the head, killing her. The entire botched nighttime raid was captured on camera by crews from the A&E show The First 48. That tape never aired, but it was used as evidence in Weekley’s two trials for Aiyana’s death. Weekley claimed his gun accidentally went off as he struggled with the girl’s grandmother, Mertilla Jones. Both trials ended with hung juries. The Jones family also sued Weekley and the Detroit Police Department in 2015. Now, Jones family attorney Geoffrey Fieger and the city of Detroit confirm they’ve settled the case for $8.25 million. "Aiyana's death was a tragic loss for her family and has been a heavy burden on our community. We believe today's settlement is fair because it balances the needs of Aiyana's family and our responsibility for the city's finances. We hope this resolution will provide everyone involved a measure of closure," Detroit Corporation Counsel Lawrence Garcia said in a statement, according to the Detroit News. The case had been set to go to trial next week. As recently as this week, Fieger said in a press release, that “to date, the City of Detroit has refused to participate in good faith in any resolution regarding Aiyana's death and continue to deny the family justice. City of Detroit Corporation Counsel Lawrence Garcia has treated the family with utter disrespect and disdain.” That was before he canceled a planned press conference to discuss the upcoming case. The Detroit City Council needs to approve the settlement. A jury is deciding whether a Detroit police officer is guilty of a misdemeanor for causing the death of a little girl in 2010. No one disputes that Office Joseph Weekley shot and killed Aiyana Jones when police raided her family’s home looking for a murder suspect. He is charged with careless, reckless discharge of a firearm, causing death. The question is whether Weekley failed to exercise “ordinary care” when he fired the shot that killed Jones. Prosecutors argue he was negligent because he didn’t follow his extensive weapons training. The re-trial of a Detroit police officer who killed a young girl during a May 2010 raid began Thursday. No one disputes that Officer Joseph Weekley shot seven-year-old Aiyana Jones to death as police raided her home looking for a murder suspect. Jurors will get instructions from a judge and then start deliberations in the trial of a Detroit police officer charged in the fatal shooting of a 7-year-old girl. Joseph Weekley told jurors Thursday that he wasn't reckless when he accidentally fired his gun during a raid, killing Aiyana Stanley-Jones three years ago. He says he was struggling with Aiyana's grandmother over the gun. The jury is returning to court Friday. Weekley is charged with involuntary manslaughter, a felony, but the jury also can consider it a misdemeanor crime. Prosecutor Rob Moran says there was no interference from grandmother Mertilla Jones. But defense attorney Steve Fishman says Jones has no credibility because she's told different stories about what happened. 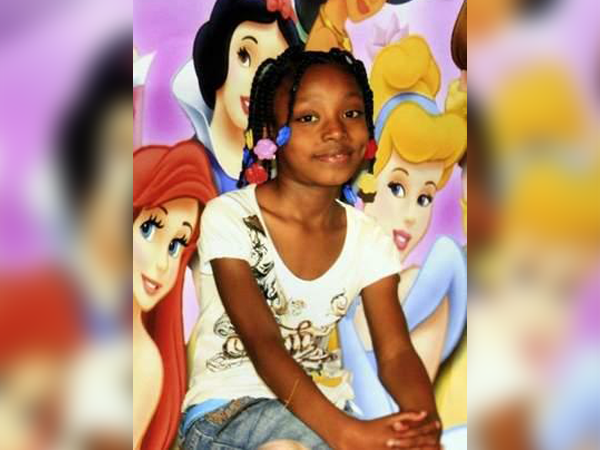 Aiyana was killed when police raided a house to capture a murder suspect.